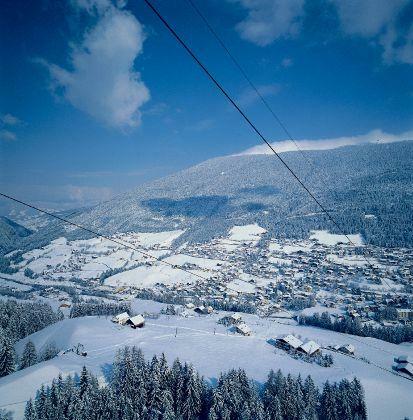 Three towns: Ortisei, Santa Cristina and Selva Gardena, form one of the most popular ski areas in the Alps. 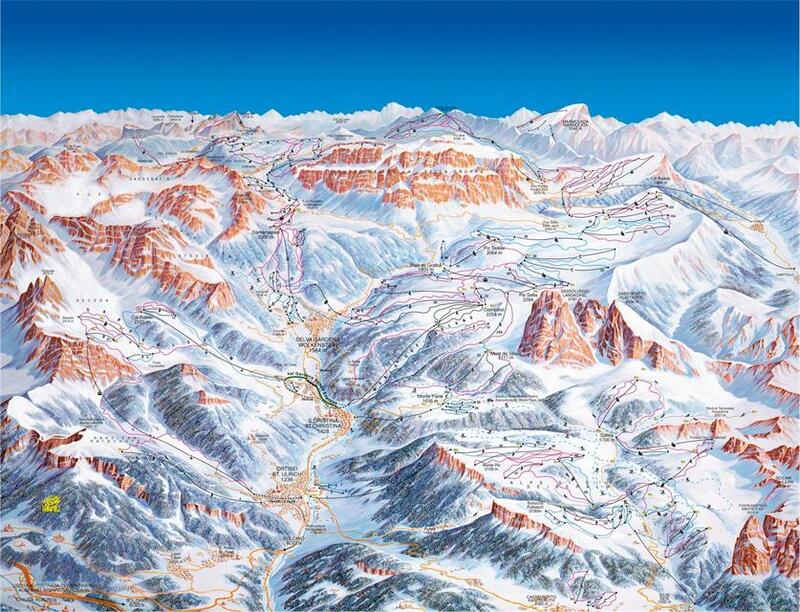 Val Gardena attracts thousands of skiers every year from all over the world. 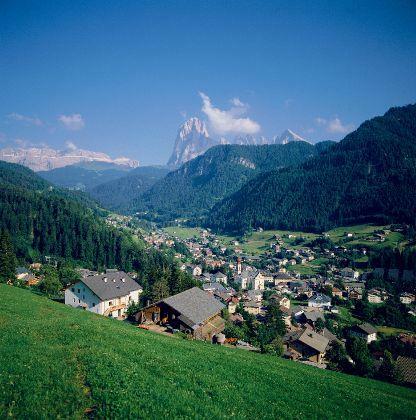 The strategic location of the valley allows you to enjoy skiing down trails not only of Val Gardena itself, but also of the nearby Alpe di Siusi and all resorts belonging to Sella Ronda. 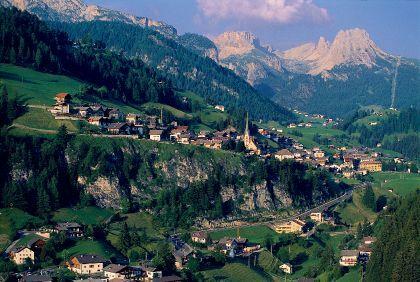 The wide selection of great runs is complemented by the fantastic views of the Sella massif – the pride of the Dolomites. 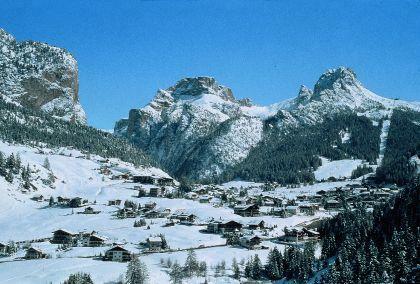 Val Gardena, regardless of the selected locality, offers fantastic opportunities for skiing. 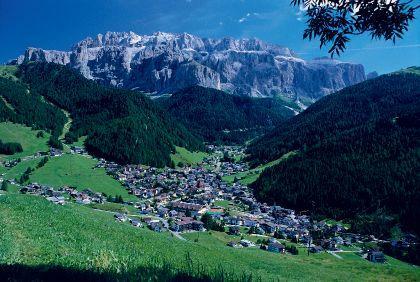 Situated at the gateway to the Ortisei valley (St. Ulrich), it enables choosing between mainly red trails of the neighbouring Alpe di Siusi and the Seceda station, reaching 2,518 m above sea level. The latter tempts with a very big number of bars and restaurants located on the slopes, offering arguably the best views in all of Val Gardena of the Sella group massif and Langkofel (3181 m), towering over Alpe di Siusi. The La Longa red trail is the longest in the valley - 10.5 km long, with altitude difference of 1,200 m.
After skiing from Seceda, down the Gardenissima trail to Santa Cristina, and a short trip by means of the Val Gardena Ronda Express underground railway, you can enjoy skiing down the famous Saslong famous black route, well known to all World Cup ski fans. 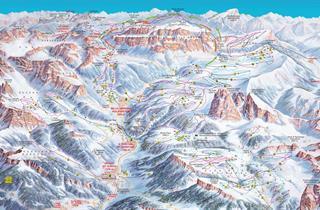 This is where in December each year the men’s alpine ski competition and the Super-G take place. 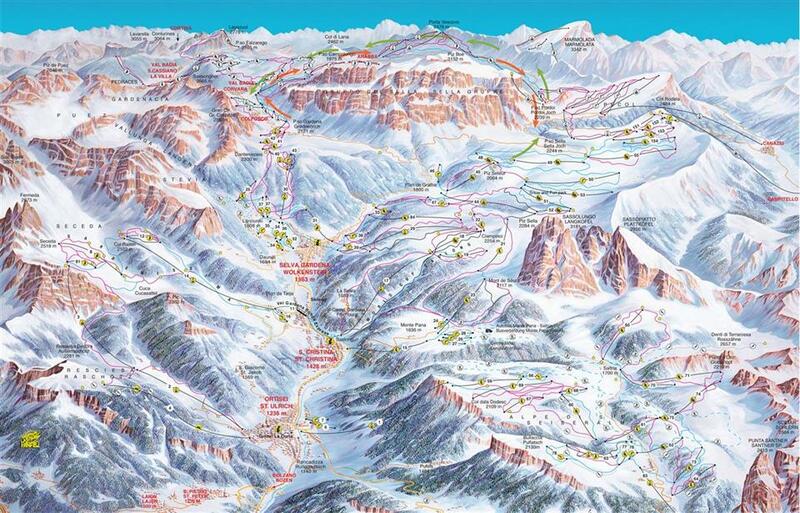 But Saslong is not all – the ski areas at Ciampino, Piz Sella and Piz Seteur include a dozen or so very good red and blue runs, whose upper sections lead down the exposed slopes to later hide in the forest in the lower parts. 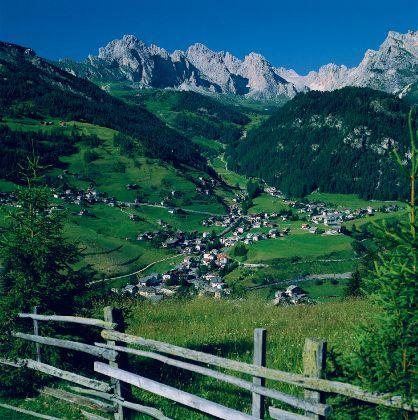 Some of them lead to Selva Wolkenstein - a town located at the end of the Val Gardena valley. In Selva, it’s worth taking the short chairlift carrying skiers to the trails of Dantercepies (2300 m.a.s.l. ), where there are several very good red runs available. There are trails for those who are brave past the Dantercepies peak, leading through Passo Gardena to Colfosco in Alta Badia and further runs belonging to Sella Ronda. 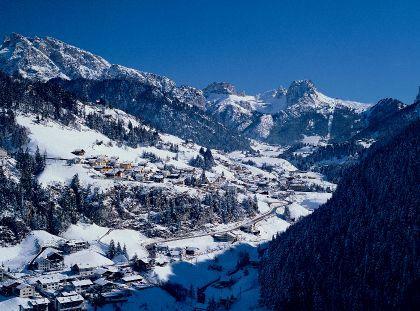 Of course, you can ski from Val Gardena also to the ski areas in Campitello and Canazei situated in the nearby Val di Fassa. 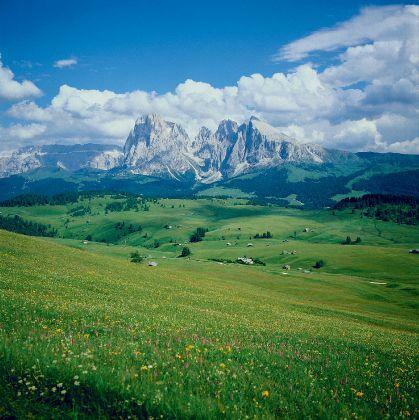 To do this, choose the blue route south when going from Piz Seteur and Piz Sella. Also cross-country skiers have no reason to complain in Val Gardena. 55 km of trails have been created in the valley. Snowboarders may be slightly disappointed, as there is only one snowpark for available for them, the 750 m long park near Piz Sella. Those looking for greater thrills can visit the nearby Alpe di Siusi (linked to Ortisei), where there is a 1500 m long snowpark. Enthusiasts of off-piste can enjoy a wide choice. Almost every one of the local ski areas offers opportunities for off-piste, and the absolute highlight is skiing down from Sass Pordoi (it is recommended to hire an instructor). 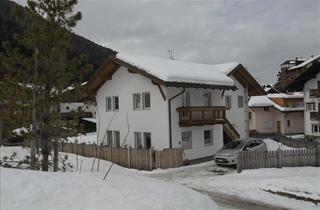 In Val Gardena you can find accommodation in any area of the valley. Skiers interested in regular use of the possibilities offered by Sella Ronda and looking for a sports atmosphere can book accommodation in Selva Gardena and Santa Cristina. 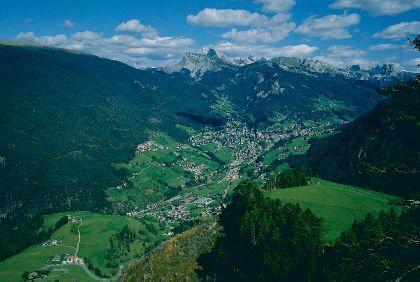 On the other hand, Ortisei offers a small town atmosphere, where you will have the most opportunities to savour the local culture. Super, nächstes Jahr fahren wir noch einmal hier.